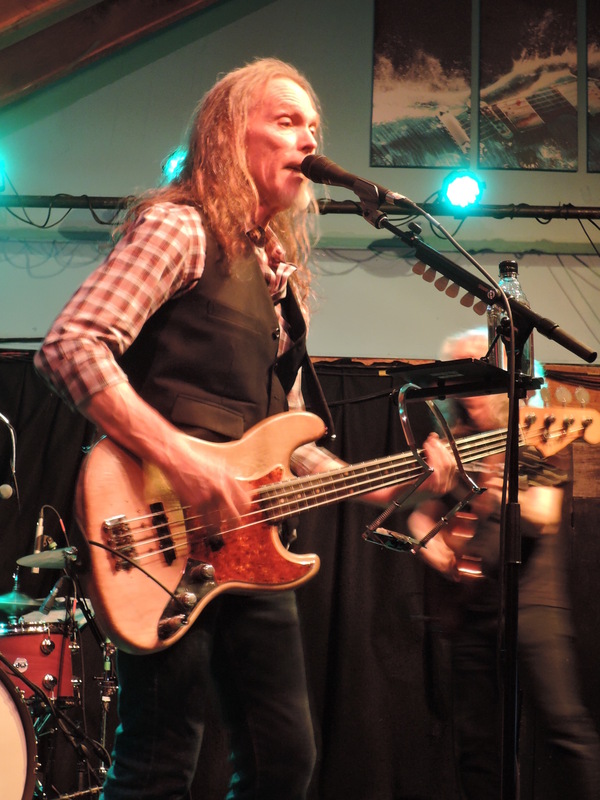 Timothy B. Schmit, bassist for the Eagles and Poco, performed a solo show May 11, 2017, at Havana in New Hope, PA. 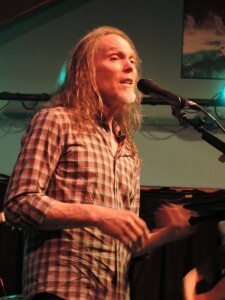 In a conversation with Timothy B. Schmit for an advance story on his solo show May 11 at Havana in New Hope, Pennsylvania, we talked about what it was like to play in different-sized venues. 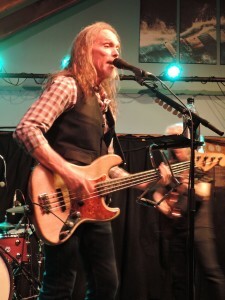 Schmit, the bassist for Poco and more famously, the Eagles, said he likes playing in all sizes of venues, big and small. But he did point to the obvious difference of the intimacy of a smaller venue as compared to a stadium concert. Well, now I know firsthand what’s he talking about. For the Havana show, I got to sit right at the feet of Timothy B. Schmit. Literally. Right in the front row in a seat reserved for media. And no surprise here, it was indeed like being in someone’s living room. If I was any closer I would have been in the band. It’s only the second time I’ve ever had the opportunity to sit in the front row of a show. The first was many years ago at the Keswick Theatre in Glenside, Pennsylvania, at an oldies show that featured Jay Siegel’s Tokens. The Tokens were a doo-wop vocal group that had the chart-topping hit “The Lion Sleeps Tonight” in 1961. My seat for that show was in the first row, stage right, directly in front of several large monitors. When Siegel went into those high falsetto portions of “The Lion Sleeps Tonight,” he nearly blasted me into the sixth row. Nothing like that happened at Schmit’s show. But like most shows I attend, there were a few personal “moments,” great little takeaways that make for an enjoyable and memorable concert experience. Schmit then went into a stripped-down acoustic version of “Peaceful Easy Feeling,” a song written by Jack Tempchin on which Frey sang the lead in the original 1972 Eagles version. The song made it to No. 20 on the U.S. Billboard Easy Listening chart and No. 22 on the U.S. Billboard Hot 100 singles chart. I would have thought it had charted higher. But people of a certain age know all the words to that song, and with Schmit – whose beautiful voice is still strong – singing lead vocals, the audience at Havana was able to provide a choir of backing vocals. While sing-a-longs can get unruly if the audience drowns out the lead vocalist, this version of “Peaceful Easy Feeling” provided a peaceful easy vibe that made a memorable concert moment for me. We collectively sounded pretty good backing Schmit on that song. But it was the three Eagles songs that stood out for me amid a really strong set list. In addition to “Peaceful Easy Feeling,” Schmit did his two signature Eagles songs, “I Can’t Tell You Why,” which he co-wrote with Frey and Don Henley and on which he sings lead. That song appeared on the band’s 1979 album “The Long Run” and made it to No. 3 on the U.S. Billboard Adult Contemporary chart and No. 8 on the U.S. Billboard Hot 100 singles chart; and the final song of the evening, “Love Will Keep Us Alive,” on which Schmit sings lead. I would be remiss if I didn’t convey my love for Havana. The venue is a cool place to watch a show. Its intimacy is among it’s charms. The Schmit show was a sellout, which packed approximately 300 people to the rafters. The food is always superb as is the service. Dave Maida – national recording talent buyer, promoter and Havana’s manager – and the staff are first-class professionals. You should go there for dinner and a show. New Hope is a hip place to hang. Timothy B. Schmit might not be able to tell you why. But I can. It was the right show in the right venue on the right night. And it doesn’t get any better than that. I couldn’t agree with you more Mike! 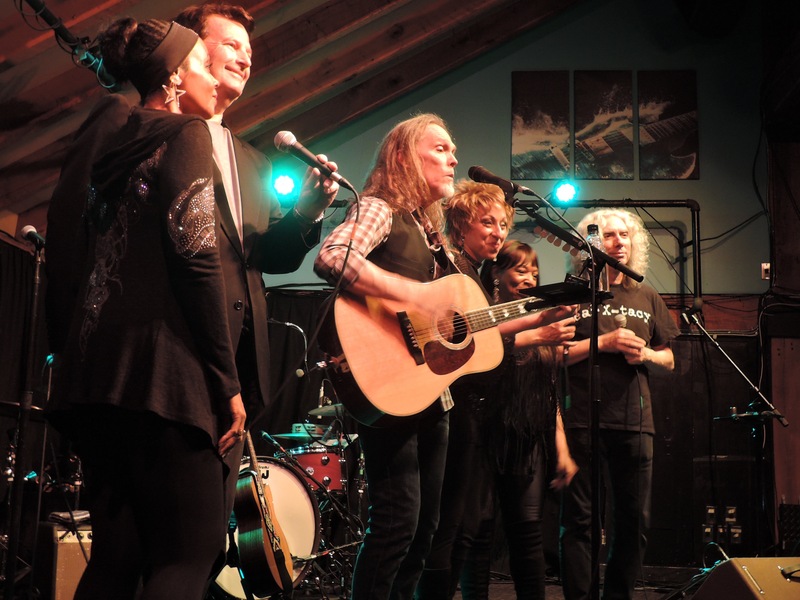 Timothy B. Schmit’s show was really quite wonderful. I was really hoping he would have done his cover of CAROLINE NO esp. since he had someone in the band who played with the Beach Boys. I loved TBS cool layed back style.